We have covered in great detail the changes and additions to the Working/Walking Surface rules posed by OSHA back in January of 2017. The focus, however, has been on the specific distances to the edge and what that means for necessary protection. We have seen a minor change in when skylight screens are needed (see Working/Walking Surface Changes). However, we’d like to pursue the changes to the loading requirement in further detail. It is interesting to consider the change in verbiage from a 200 lb load cannot deflect the screen to the point of breaking the skylight to simply failure. Failure to us means the skylight screen cannot break. OSHA no longer specifies whether or not the skylight can be broken in a fall. It merely states that you should not be able to fall without protection. 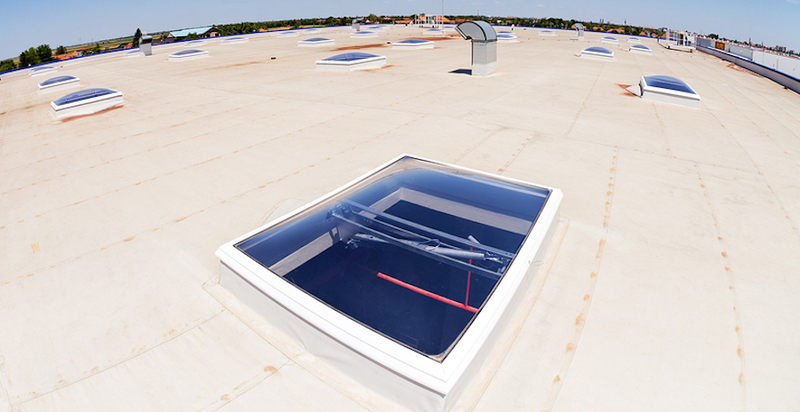 As a safety company, we understand that somepersonal fall arrest systems are compliant and can be used to protect skylights. That is assuming they are designed specifically to this application and installed per the manufacturers requirements. However, the potential for cuts or gashes from broken glass and the act of falling in the first place only increases certain risks. We would much prefer to restrict you from ever encountering the skylight to begin with. 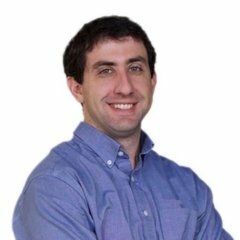 The 200 lb loading requirement is out! It has been replaced by this phrase. On the surface, it is easy to ask, "Well, what does that mean? How do I calculate twice the maximum intended load?" If you are having trouble doing the math, here is one way we like to look at it for simplicity's sake. Cal-OSHA says something similar to the new code but mentions that the skylight screen needs to be able to withstand 400 lb OR twice the maximum intended load, whichever is higher. 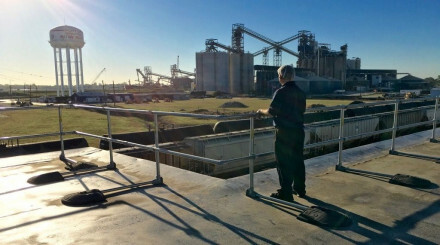 Cal-OSHA is typically thought of as the more stringent ruling, but that is no longer the case in this instance. To keep things simple, unless you know that your maximum anticipated load will exceed 200 lbs, ensure your skylight protection is rated for at least 400 lbs. "… imposed on the cover …"
The new OSHA code does not mention the term screen at all concerning protecting a skylight. So what is a cover? OSHA does a great job of listing what the cover needs to perform to, without giving a clear indication of what it is. Is this intentional? Possibly. Without a Letter of Clarification, it's hard to tell. 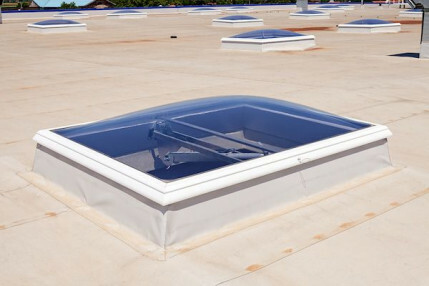 In the end, this will give you the flexibility to use a variety of different systems to cover your skylights assuming it meets the requirements. 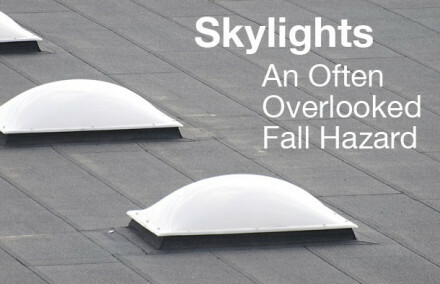 That is great news for all of you with skylights covered already with skylight screens. Understanding 1910.29(e)(1) can help you be better equipped to research the safest options for protecting your skylight with covers. There are certainly many options on the market. However, you should have the confidence that what you selected is not only compliant but will save lives as well.